Dust off the stemware, put in your cheese order and start drawing up a guest list. Next year -- if you can wait that long -- may be the best time ever to sample Italy’s bold, earthy Brunello di Montalcino wine. Brunello’s 2015 vintage will be uncorked starting January, and winemakers and oenologists say it will be one of the finest on record. 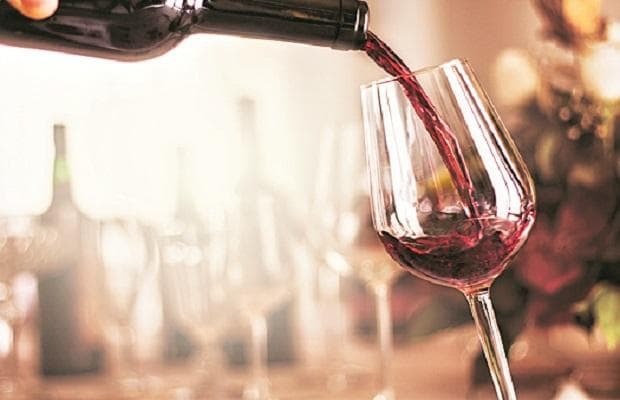 Bottles won’t come cheap, though, according to experts convening at Vinitaly, the world’s largest wine and spirits exhibition, starting next week in Verona. “Everyone’s already talking about it,” said wine entrepreneur Roberto Giannelli, who sells Brunello, among other varieties. “Prices are expected to start above 60 euros ($67) a bottle and reach into the hundreds of euros.” Ordering a top-end 2015 Brunello from a restaurant wine list could set you back thousands of euros. Even in normal years, Brunello is on the costly side. Of Italy’s top 10 most-expensive wines, three are Brunellos, according to a ranking by Wine-Searcher, which tracks wine prices worldwide. Not bad for a denomination that makes up less than 0.5 percent of Italy’s total vineyard area. There are good reasons for the cost. Like France’s red Burgundy, the wine comes from a single variety, which means harvests hinge on the success of one grape type only. And while the Sangiovese grape used to make Brunello grows all over central Italy, some winemakers say the limited planting area around the Tuscan town of Montalcino is where the Sangiovese is at the pinnacle of its varietal expression. Giannelli, who runs one of about 250 wineries that produce Brunello, calls 2015 a once-in-a-lifetime harvest, noting it was the first he’s seen without a single damaged grape. So, you may ask, if 2015 was so good, why can’t we drink it now? The answer is, the wine still hasn’t reached its legal drinking age. Brunello’s regulations require five years of aging, including two in oak barrels. It also has to remain bottled for four months. Winemakers who intentionally game the system and release their product early can be charged with fraud and even imprisoned. The process is stricter for the most prestigious growths, which mature even longer. Any of the 2015 bottles, though, promises to be special, whether to drink, or to buy and hold. “The 2015 harvest had a good ripening of grapes, which means the wines will be tasty but also that we’ll get some Brunellos that will age really well and can represent a good investment,” says Massimo Comparini, a sommelier and editor of the “Italy’s Best Wines” guide. But watch out, Brunello fever can be life-changing. Giannelli ditched an office job in Florence after discovering the unique mix of clay, sand and volcanic ash in the Montalcino soil that gives the grapes their “persistent, harmonic and elegant taste.” He moved into a rustic villa, saying he “fell in love” with the valley (and the wine, of course). He’s not the only one. American brothers John and Harry Mariani arrived in the 1980s and founded the Castello Banfi vineyard, which has grown into a top producer as U.S. thirst for Brunello has exploded. Despite a temporary halt on imports in 2008 following suspicions that some bottlers were mixing in other grapes, the U.S. is now the biggest market for the wine, at about 10 million bottles a year. Giacomo Neri, whose family founded the Casanova di Neri vineyard, recalls a time when the cradle of Brunello was just a humble medieval hamlet, like dozens throughout Tuscany. Though Montalcino is now on every oenophile’s map, the village 150 kilometers (93 miles) south of Florence is still home to only about 5,000 people. “When my father set up the company this area was poor, almost abandoned," Neri said, speaking just after finishing a call with a South Korean client. Today, Casanova di Neri is one of the biggest producers of Brunello. Whether from a major vineyard or a niche operation, every bottle of Brunello is memorable, Neri says, as the wine is intrinsically linked to the unique mix of soil, sun and Sangiovese grape found only around Montalcino. As Neri puts it, “if you move the grape even 100 meters, it’s not Brunello anymore."